Nuclear Academy is catering to the students preparing for Class XII Board Exam preparation and competitive examinations. 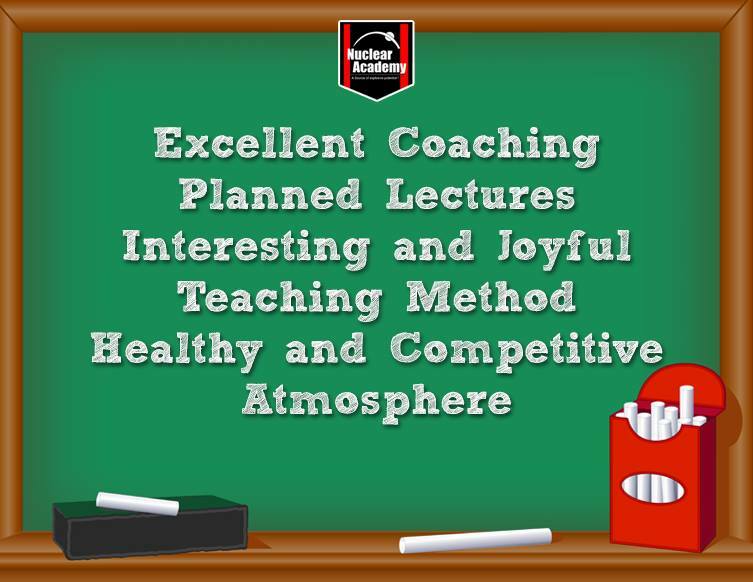 We have a team of highly qualified and experienced teachers at our 11th, 12th coaching classes who are dedicated to the complete development of the students. Nuclear Academy offers 11th, 12th coaching classes for NEET, Board exams, maths, biology, physics and chemistry. Our programs are the right mix of classes, doubt sessions, problem-solving sessions supplemented with in-depth and thoroughly revised study materials.